The acclaimed writer discusses ending a modern classic and much more. StarWars.com: So, Darth Vader, the series, has brought a number of characters into the Star Wars universe that have left an unforgettable mark. 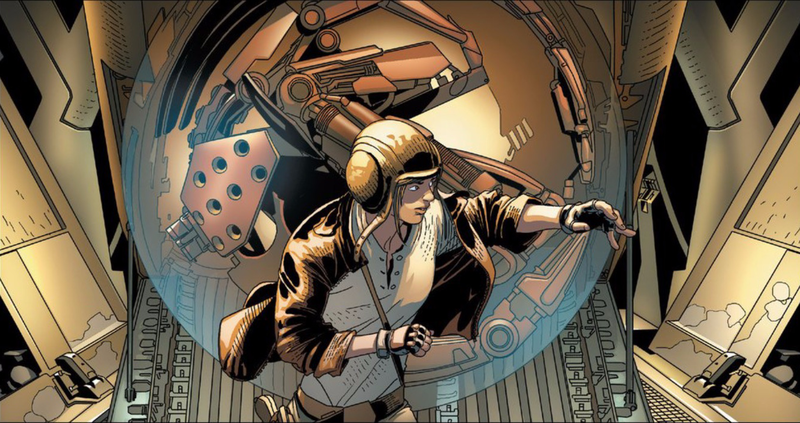 Perhaps no character has had as much of an impact as Dr. Aphra. Although I’m sure Triple-Zero would probably disagree with that. 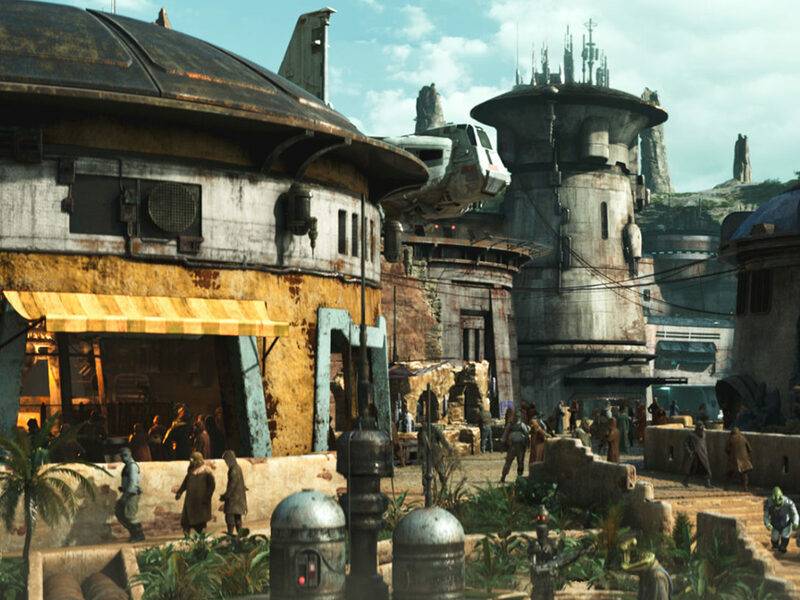 StarWars.com: So, what was the inspiration for Aphra, and what does she mean to you as a character? She’s popular; I mean, people love her. Kieron Gillen: She’s great. I mean, this is sort of tricky because actually, I’m not going to say whether she survives or not. It’s one of those things where, she’s kind of the heart of the book, and like, I should say that Vader isn’t going to die. You know, that’s the thing: what the tension of the book is, is anyone around Vader going to survive? And by having a character kind of likable, that’s kind of the thing. The emotional backbone for a lot of the book is, is Vader gonna kill Aphra? Because Aphra knows Vader is going to kill her. And Vader knows that Aphra knows he’s going to kill her. [Laughs] So you get all of the politics back and forth. StarWars.com: And there’s pathos because of that. Kieron Gillen: Oh yeah, absolutely. And it’s the final scene; the final confrontation between Vader and Aphra in issue #25 is one of my highlights of the run. You know, it’s kind of all built towards this final scene, and I think it’s quite powerful. [As far as] where did the idea come from? I was trying to make the idea of how to make something feel like Star Wars. And at least part of it was, I wanted to… Okay, I’m going to take Vader. Vader’s basically our Luke. I need to surround him with a cast, so I kind of end up almost mirroring the main Star Wars cast. Aphra ends up taking sort of [a] Han-ish position. And obviously, the droids are the droids, and Black Krrsantan is Chewbacca. And, you know, Trios is Leia. But at the same time, I was also thinking, they can’t just be mirrors. They’ve got to be archetypes. And the thing about Star Wars is, the characters better be broad and direct. Leia is a certain princess archetype, and Luke is a farm boy turned Jedi Knight. These are kind of quite the ideas you get, you know, and Han most of all. He’s the smuggler, scoundrel guy. And soon, you kind of hit a certain kind of character type, and make them feel big enough. We met Lucasfilm for the first time. They were showing us around the building, and I just passed one of the Indiana Jones bits. I found myself thinking, “You know, Indiana Jones would be an archetype who’d work. It’s a very old universe. It’s got the old stuff there.” You know, gender switched Indiana Jones, but evil, with all that kind of charm of Indiana Jones, but completely different, ethical means. That could work. And also, there’s kind of a fun-ness to doing another character inspired by another Lucas property. StarWars.com: That’s great, because as soon as she premiered, everyone was talking about a comparison, and it’s kind of been under the radar, so to hear that from you is neat. Kieron Gillen: It was really inspiring. In fact, the trick of Aphra is to make her her own person, as well. Occasionally, we do a few Indiana Jones winks. But you know, we try to keep them to a minimum. You know, it’s the same as Inspector Thanoth. He’s like the genius detective archetype. That’s more of the big, broad archetype. Let’s drop that into Star Wars and see what happens. StarWars.com: And he’s actually a classic example of what you spoke about earlier, in terms of inserting some heart. He was a great character; I was certainly sorry to see him go. But, he filled a need, and he also let us in on what it means to be fanatical about the Empire. Kieron Gillen: That’s the idea. That’s one of my favorite scenes in the entire thing: the final confrontation between Thanoth and Vader. Two guys that are just talking; if you get the drama right, that’s all you need. 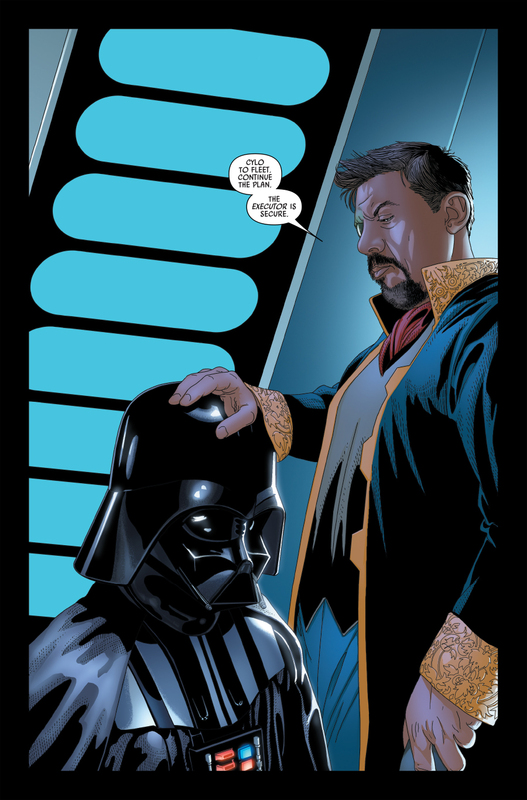 Kieron Gillen: I wrote it down and immediately forwarded it to my editor and said, “I love this scene, especially because he maneuvered Vader, and ‘now you’ve got to kill me. '” The thing is, with Thanoth I really wanted him to survive. I wrote this because I couldn’t work out any way that Vader would let him live. 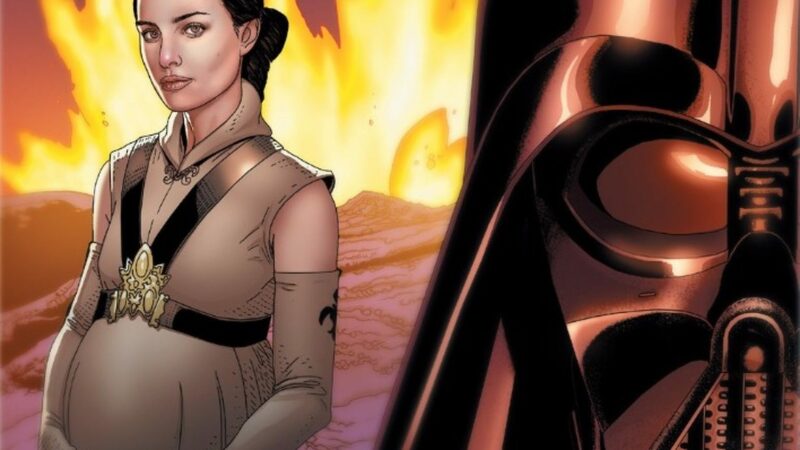 Kieron Gillen: And I thought “no.” When I wrote the script and sent it to Lucasfilm — well the outline anyway — I was like, “If there’s any way you think Vader wouldn’t kill Thanoth, please say it.” I was kind of hoping they would overrule me. But no, they agreed with me. Vader would have to kill him. StarWars.com: So, we go from someone beloved to some very interesting characters: Triple-Zero and Beetee are something of an enigma in Star Wars, but have provided some, shall we say, unique moments in the series. How much fun is it to write this dastardly duo, and what has the reception been like for them? Kieron Gillen: They’ve been really positive. When people take panels of Vader and put it online out of context on Tumblr or whatever, it’s regularly a Triple-Zero panel. StarWars.com: [Laughs] Adds to him being maddening. 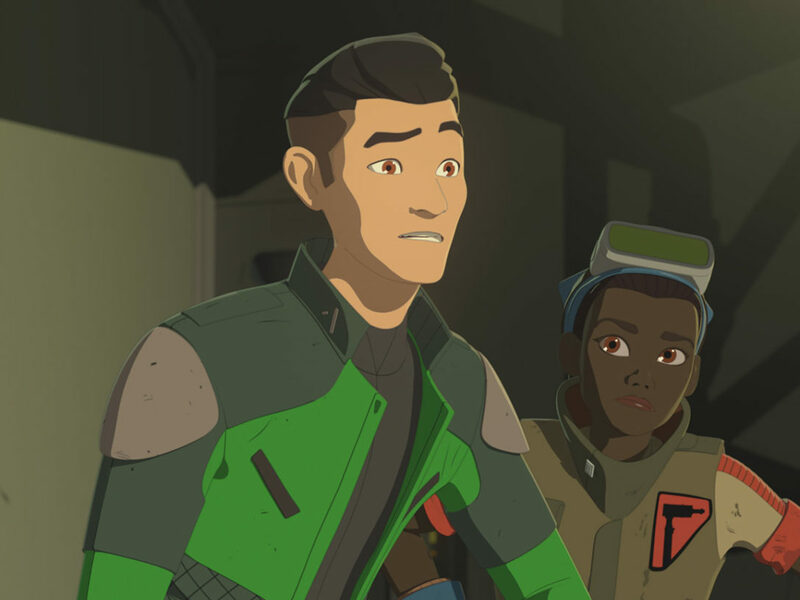 StarWars.com: When you’re writing a character, if they’re exciting for you, that’s going to branch out to your audience. StarWars.com: A recurring theme in Darth Vader is Vader’s disdain for the melding of the biological and the technological. This is encapsulated primarily through Vader’s antagonist, Cylo. 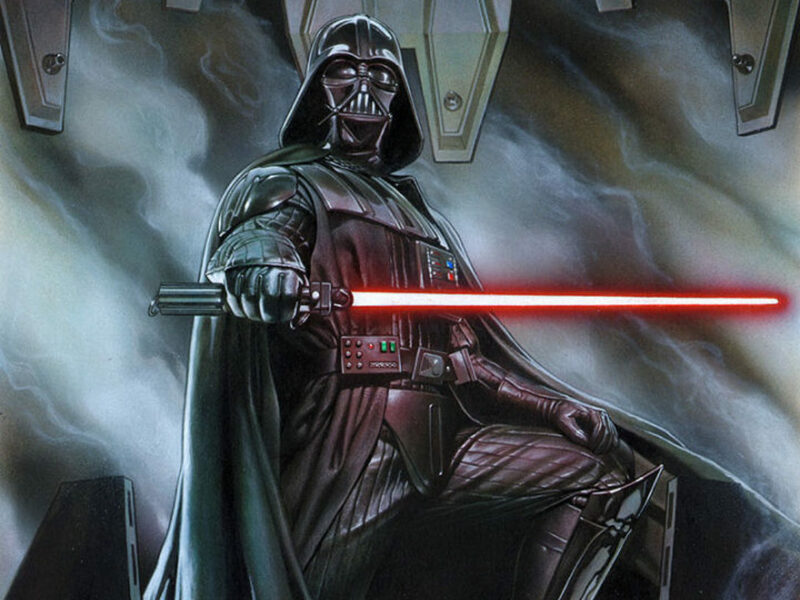 Why is he the perfect foil for Darth Vader? 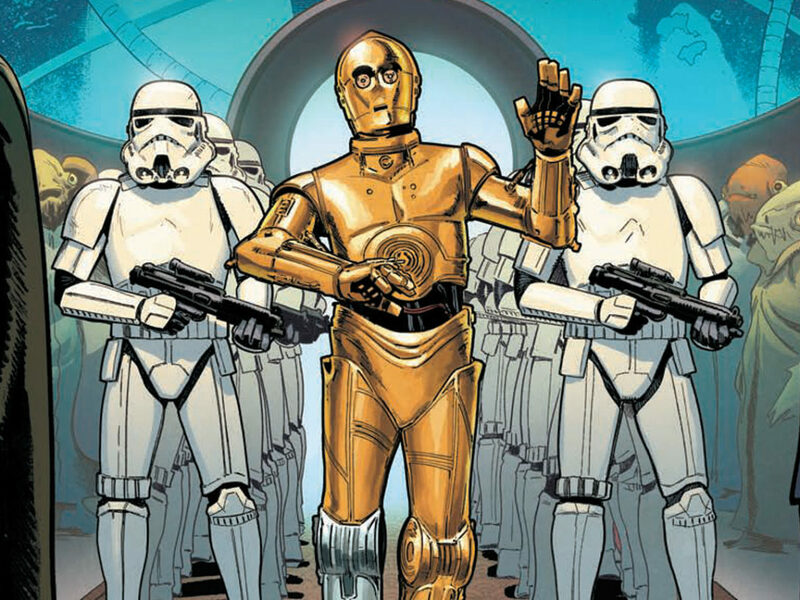 Kieron Gillen: I quite like the line that Obi-Wan says, “…more machine than man.” That’s the kind of essential thing: is he alive or is Darth Vader dead? Is he this machine of vengeance or is there kind of more romance and poetry to him? And being part machine, at least part of it, is the idea, “Oh, you might be obsolete.” You know, because machines aren’t really part of the Force in any traditional way. Kieron Gillen: He believes in the dark side of the Force, but he believes in the Force. So it’s a kind of an existential threat to him, especially because, while Vader, by his appearance, and what’s been done to his body, it’s almost like foreshadowing it. So it’s the sense of Vader that, “Oh, maybe they’re right.” For me, that’s always what villains are about. 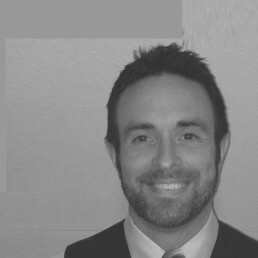 The idea of taking the psychological opposite, or philosophical opposite, rather. Or you kind of like, extrapolate a problem in the character and take it to the Nth degree. 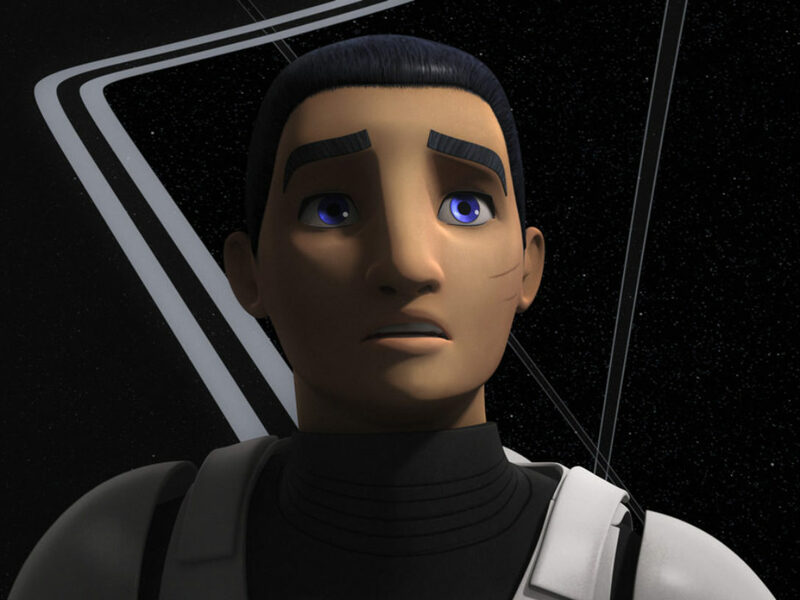 StarWars.com: He’s very much a visual manifestation of his self-loathing, which adds to why Cylo knows how to push his buttons. Kieron Gillen: Oh, yeah. Absolutely. 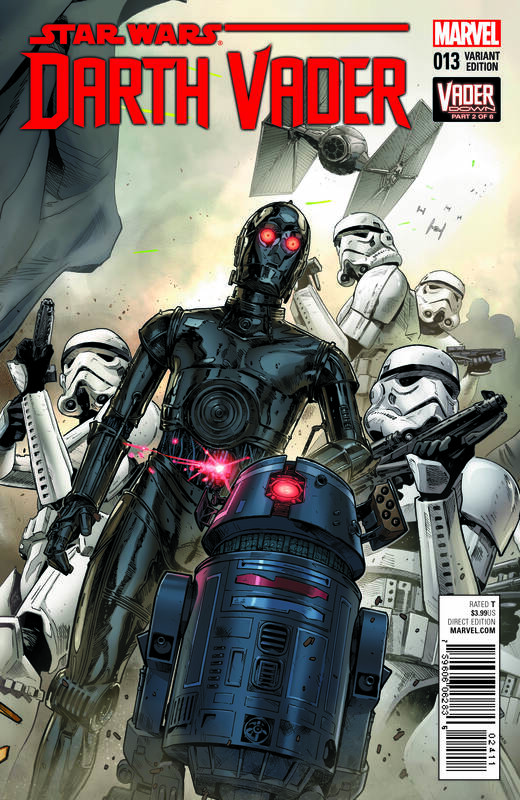 StarWars.com: Issue #20 was a particular highlight. It featured one of the most poignant conversations between Vader and Emperor Palpatine. How did the fundamental aspects of this meeting change as the series went on? And did you know from issue #1 that this was going to happen, in this manner? Kieron Gillen: Maybe not in the exact manner. It’s kind of one of those situations where there’s sort of a natural flow to the story. Like we knew the first two arcs pretty well, like the first arc would be dovetailing together with the first arc [of the Star Wars series]. At the end of the first arc, Vader realizes he has a son. He also discovers that the Emperor has messed around with him a bit. And then really, the second arc would be exploring the worlds a little and then we come to get to the crossover, and I knew at some point, Vader would have a heart to heart with Palpatine, explaining what was going on. The tale definitely grew in the telling. Certainly, Lucasfilm encouraged me to lean more into the Sith philosophy. You’ve just got to love it, which is always a surprise to me. In the same way, issue #24 is kind of a Dagobah sequence. It’s like Vader’s Dagobah sequence, so it’s his kind of weird vision sequence. StarWars.com: I love that line too, because it was cold and calculated, but it was honest. It kind of backs up that whole thing where the Sith tell the truth. Kieron Gillen: It’s so direct. And it makes no difference. And it’s like, kind of, “We understand each other.” And that, for me, that’s the core of the character. I mean, trying to get Vader and the Emperor on kind of better terms was definitely one of the long-term goals. StarWars.com: And that makes sense, too, because they clearly have a more positive interaction in the middle of The Empire Strikes Back. Kieron Gillen: It’s interesting to impact that one, especially if you read it in the context of our book. It’s like, Vader already knows about Luke [Laughs], and the question is, when did the Emperor find out about Luke? 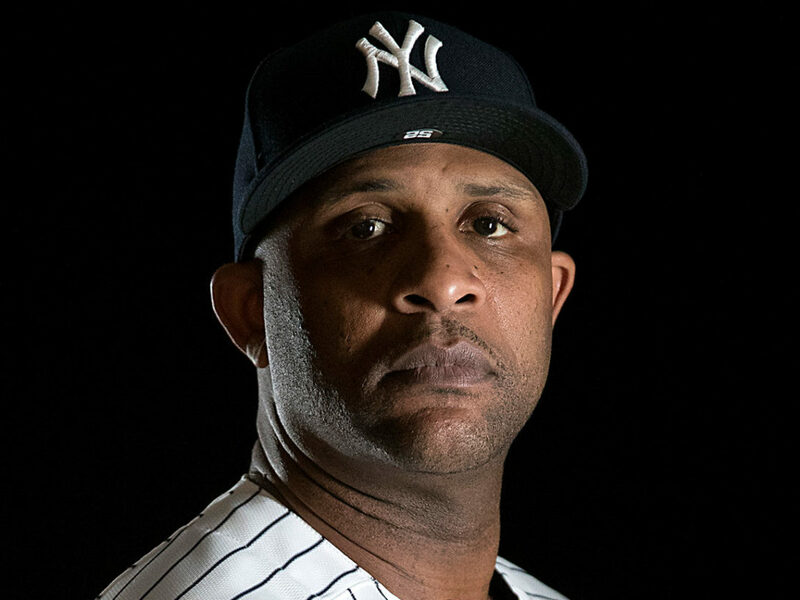 We don’t deal with that in this series. The Emperor doesn’t know about Luke at this point, so the question becomes, when DOES the Emperor discover Luke? And, you know, how big is the period when they both know, and really never admitting it. There’s more stories for people to explore down the line, I think. 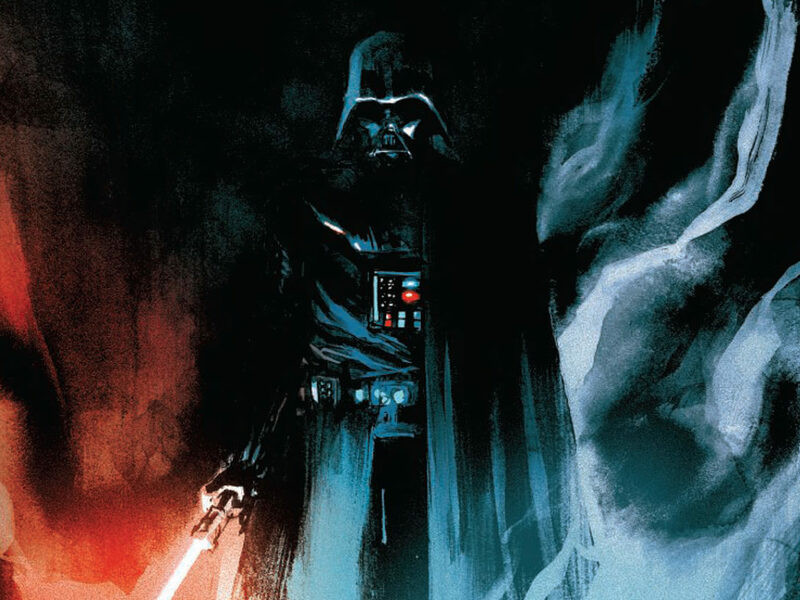 StarWars.com: When it was announced that issue #25 would be the last issue of Darth Vader, many were surprised, as well as disappointed, due to the immense popularity of the series. While it must be great to know that readers wanted to experience more of your work on Darth Vader, it must be equally gratifying to know that you were able to create a beginning, middle, and an end. Kieron Gillen: It is! It’s a weird one. Almost at the start, I kind of said I recon it will be about 30 issues, was my guess at the start. Because that’s kind the length, that feels like the novel length. You’re talking in comics’ terms; that’s like a novel’s worth of content. I mean, it’s slightly more, to be honest. It’s kind of right, if you include the specials, and the fact that some of the issues are almost double-sized. And for me, that’s a novel, and that was kind of always the aim. And the fact is an historical novel, you know, there’s a story we’re trying to tell: a beginning, middle, and end. We could have done more stories in the period, like in the middle, but that would have just felt like padding. But then afterwards, there’s less emotional settings for Vader. Once Vader has gotten on better terms with the Emperor, and he’s not going to find Luke before Empire. 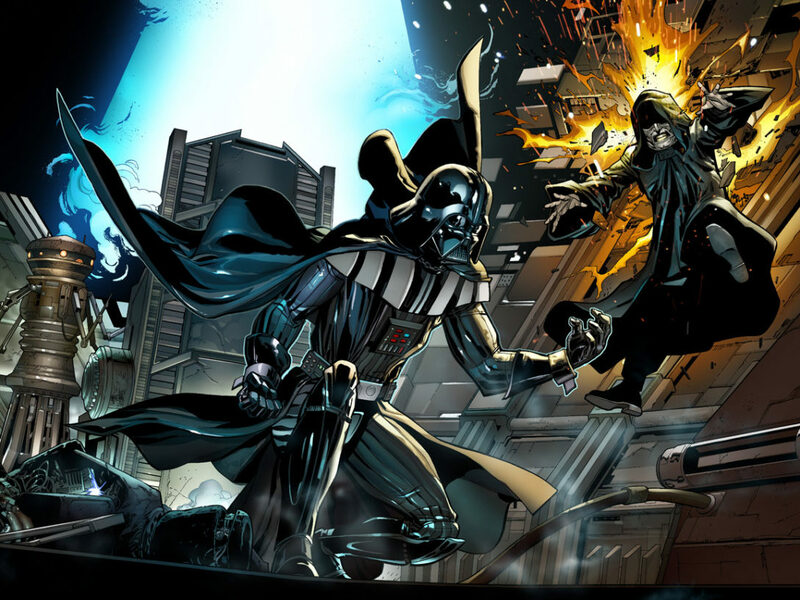 Kieron Gillen: There’s not actually a lot of emotional meat for Vader there, so it’s kind of like, okay, we may have maybe gone on a bit longer, but when we actually hit [the crossover] Vader Down, we looked for what was happening next. There’s probably about ten issues left. So, we thought no. We end it short. There’s going to be five trades, and that will be a complete story. And people will be able to…re-read it. Kind of in the same way you would come back to the movies time and time again. And hopefully, there’s an intellectual solemnity to it that people will appreciate. StarWars.com: What have you learned about Darth Vader through this entire experience overall, and what do you hope that everyone will take away from this series? Kieron Gillen: I hope that I give a greater understanding of him without decreasing his majesty. I don’t want people to think, “Oh, he isn’t horrible.” I want to think people are interested in exactly why he is horrible. There’s definitely things in #24 and #25 where you go, “Oh wow. That is Darth Vader.” There’s never been an ongoing Darth Vader book like this, so it’s a very rare opportunity to explore it, really.